I’ve just been putting together a short film about some friends of mine called Phil, Rach & Zach. I was staying with them in Durban recently, where they introduced me to my first ever Bunny Chow (a heart attack waiting to happen, but super-tasty). They are a brilliant example of the art of finding out about good stuff already happening, and joining in. 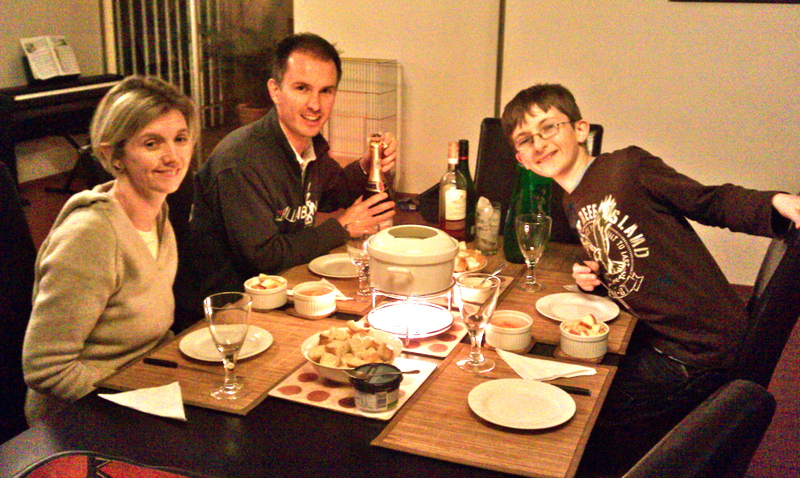 They’re from Stoke, in England, but 4 years ago they upped sticks and moved to Durban, South Africa, “because God told us to”. Now there are some clear advantages, in my mind, to living in Durban rather than Stoke. There’s a lot more sunshine (12 months as opposed to 2 weeks a year) and there are beaches. Although Rach wasn’t really a fan of hot weather. And Stoke was home, which they loved, and where they had jobs and family and a house. And in South Africa they have to have a guard and a fence round their block, and barbed wire. So it wasn’t an obvious move. They went on a short term trip in 2006, and Phil says it ruined his life. It wasn’t that anything he saw was especially new. He’d been working for Tearfund for years and had been on plenty of trips. But it was crunch point. He felt like he had to stop dropping in and out of places (especially places with such evident poverty and injustice) and invest somewhere. And for some inexplicable reason it seemed like Durban was the place. And so they went. Without a plan. Which is the part that impresses me, because I really like plans (as do donors). But they were honest about the fact that they didn’t actually know what they were meant to do, and weren’t under any illusions that they had what it took to solve Durban’s problems (South African cities are probably the only ones in the world with wider inequality than Brazil – Cape Town being the most unequal city n the world). They ended up spending the first few months listening. They met the few people they knew, who were Christians doing community development work, and they introduced them to a few more, and each time they would go and listen to them – to what they were doing, what was going well, what was hard. Almost everyone they met said “I feel like I’m the only one doing this. I feel like I’m weird.” Phil & Rach said “That’s ok, we know 9 other people as weird as you”. And after the first year they could say, “we know 149 other people as weird as you,” and so Soul Action began. They reckon they’re in Durban, ”to celebrate what God is doing”, and to talk up the good (an idea I like…). They like the idea of South Africa being known for something other than apartheid and violence. And they do their bit by bringing people together who are running projects in their own different communities, so they can feel less weird and alone, learn from each other and share their stories. Then when they see a need, they provide training and try to explore new thinking as a group, to help everyone serve the city better. Rach, a teacher, also runs a specific project to improve literacy levels among children from poorer communities. 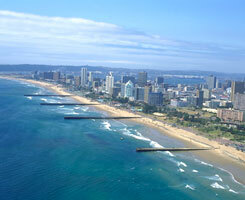 Durban is where they live, where they call home, and where it all started. But now they’re starting to gather leaders from other cities in the country, to see if there might be a bigger picture they can get behind – more great stuff they can join in with, cheerlead for and serve. So now I’m wondering what great stuff is already going on in my neighbourhood, that I can get behind?